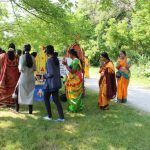 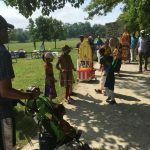 With the immense grace of Sri Swamiji and blessings of Lord Jagannatha, families of Toronto GOD celebrated the “Jaganatha Rath Yatra And Indian Divine Food Festival” on Saturday, June 30th 2018 at Erindale Park, Mississauga. 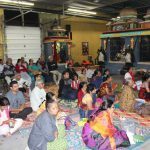 It also happened to be the Second Anniversary for Toronto GOD Satsang. 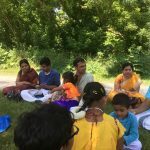 All the satsang families enthusiastically gathered in the park in the morning. 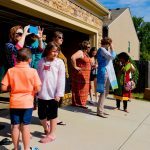 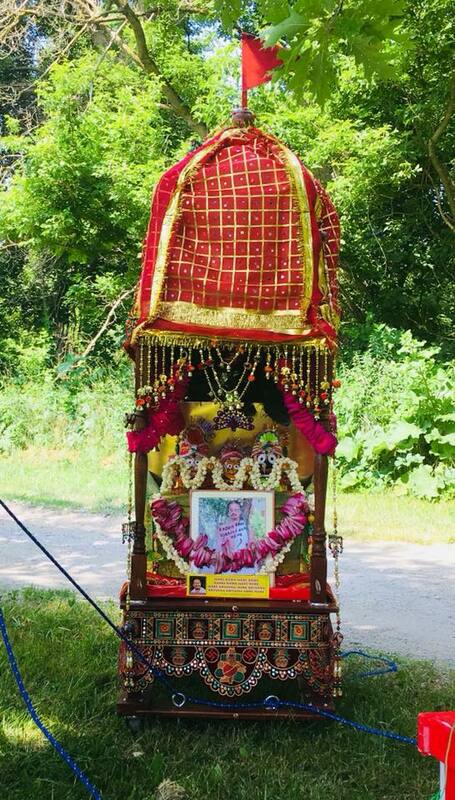 Although it was hottest day of the year, Sri Guruji blessed us all to celebrate the Lord of the Universe. 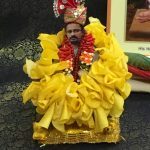 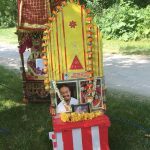 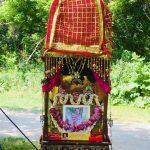 We had 2 Ratham(Chariots) custom made for the Yatra, decorated beautifully and all set for the Lord. 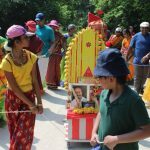 Children enjoyed pulling their own small Chariot while all others pulled the bigger chariot with Lord Jagannath, Lord Baladev and Goddess Subhadra. 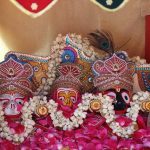 Mahamantra was chanted and Madhuragitams were sung through out the Yatra. 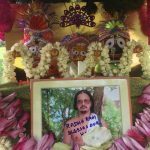 The Lord was placed under a big shady tree and prepared for Chappan Bhog. 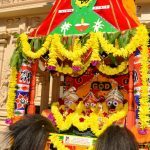 The Mahaprasad was offered to the Lord and all the devotees partook the Maha Prasad. 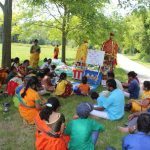 Nearly 25 varieties of prasadam was offered to the Lord. 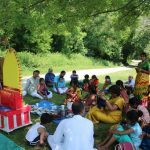 It was the first outdoor event for Toronto GOD families and it was truly an experience in organizing everything for the festival. 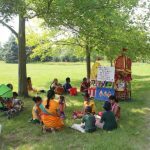 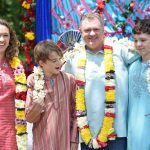 Toronto GOD families offer their humble pranams at the Lotus feet of Sri Swamiji for blessing them through out the event and are looking forward for more and more satsangs.